Happy Thursday!!! You know what that means??? One day until the weekend 🙂 What are you up to? It is still cold here in Melbourne, Australia but the sun is shining and I am in the mood for sharing more great, cruelty free food with you. I came up with this whilst walking the playground at work the other day and boy…. did it turn out nice! Great feedback so far on this comforting dish so I hope you also enjoy it. Its full of veggies, fibre and protein and will keep you warm and satisfied also. STEP 1 – Gather your ingredients. 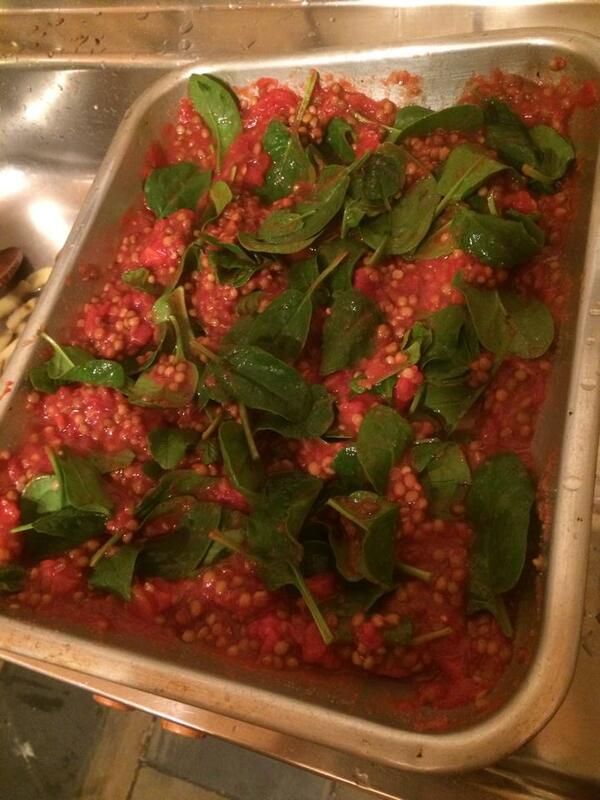 1 large eggplant, 2 red capsicums, spinach leaves, 2 tins of lentils, 2 tins of crushed tomatoes, 5 tablespoon of tomato paste, garlic salt, salt, pepper, half a cup of quinoa, veggie stock, 6 potato’s, olive oil, 6 garlic cloves and nut butter. 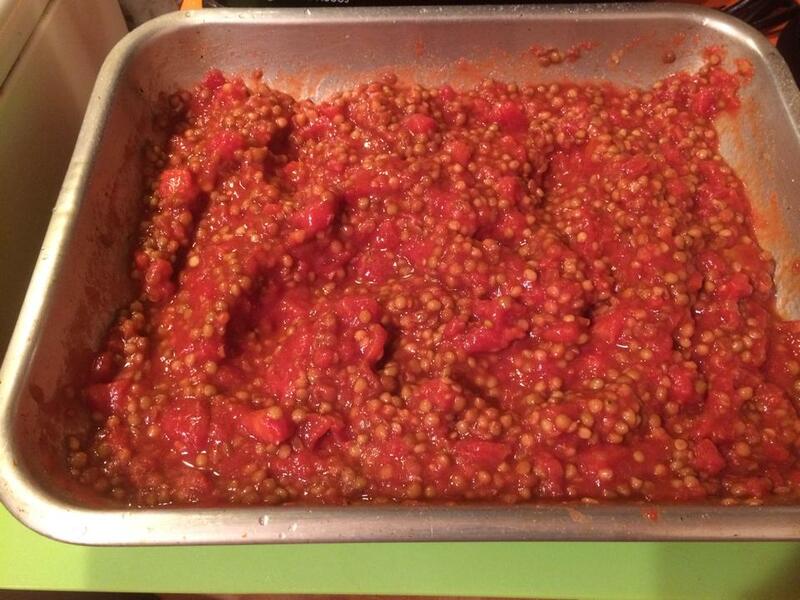 Rinse the lentils and then mix them with the crushed tomato’s, tomato paste and some garlic salt and salt and pepper to taste. 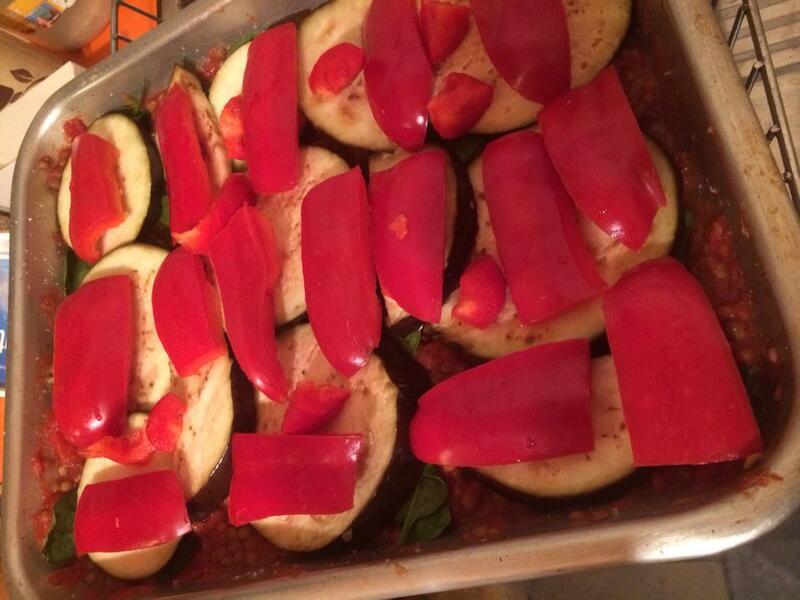 STEP 2 – Mix in some spinach leaves and then add a layer of eggplant and a layer or red capsicum and place in the oven at 220 degrees for about 15 minutes. 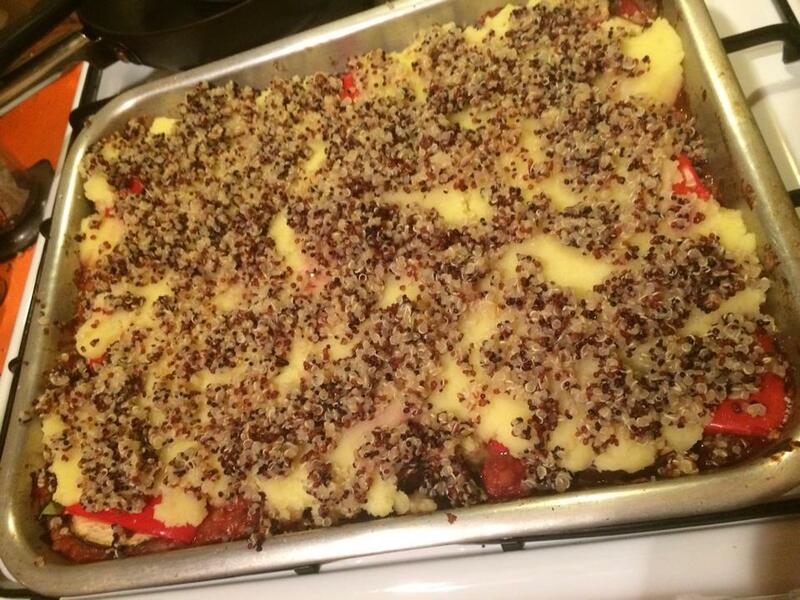 While this is cooking cook your quinoa in veggie stock and prepare your mash potato. I use olive oil, crush some garlic cloves and add nut butter to mine. The result is creamy and absolutely divine. 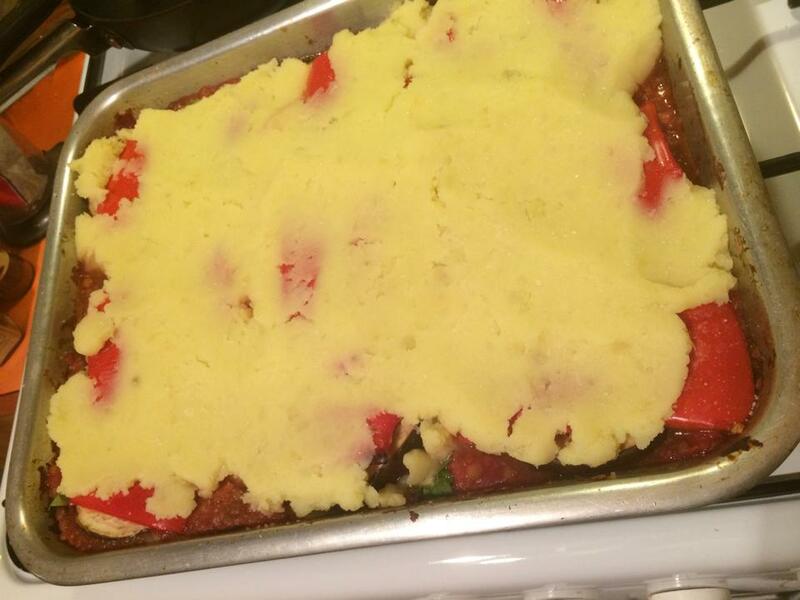 STEP 3 – Once your mash potato is ready, take the tray out of the oven and evenly spread it over the top. 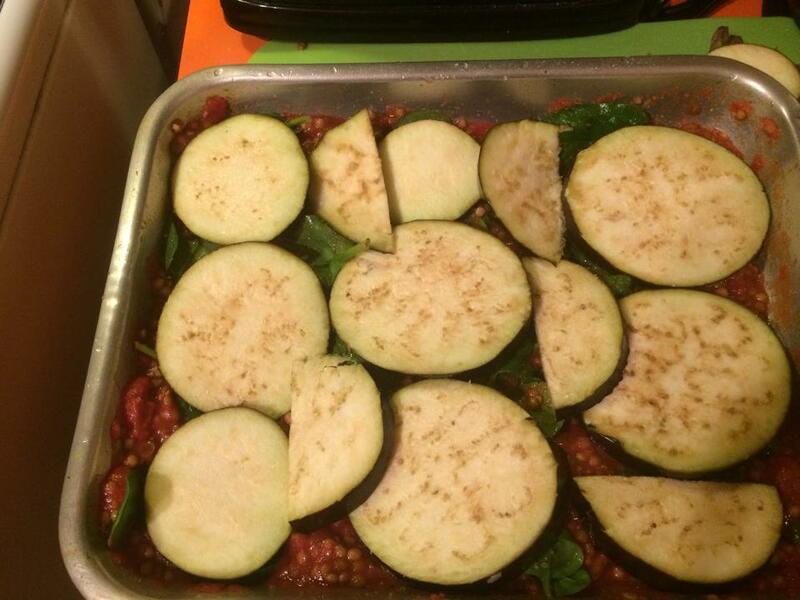 Then add your cooked quinoa evenly on to that and place into oven. STEP 4 – Cook at 220 degrees for between 30 to 45 minutes. The mash potato will be browned and the quinoa crunchy. Serve alone or with a side of your choice. 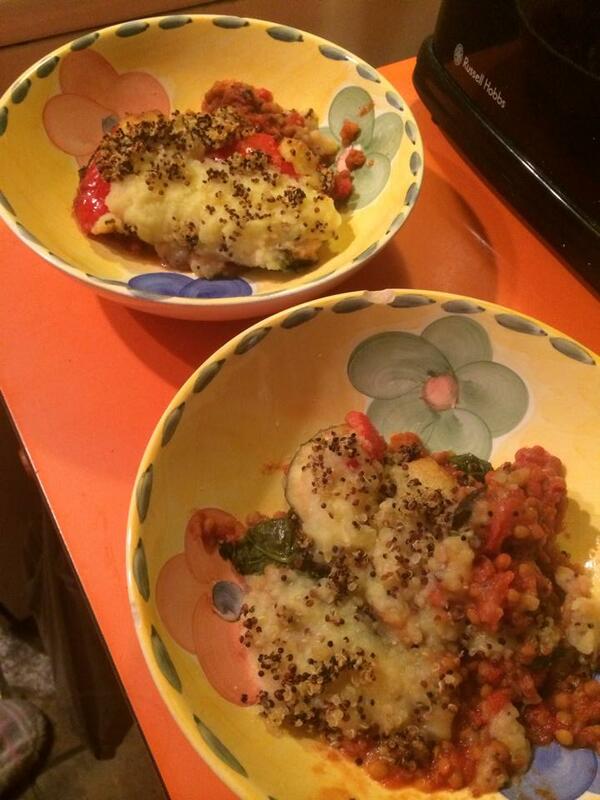 Enjoy this hearty, comforting dish and until next time eat well, smile and be kind to animals. This entry was posted in Uncategorized and tagged comfort, comfort food, cooking, Cruelty Free, eggplant, food, health, healthy, lentil pie, lentils, mash potato, pie, plant based, quinoa, vegan, vegan eats, vegan food, vegan recipes, vegetables, What Vegans Eat. Bookmark the permalink. damn, I have everything but the eggplant on hand right now! Get some girlfriend!!! Haha. Checked out your new page and it looks brilliant!! Hi. 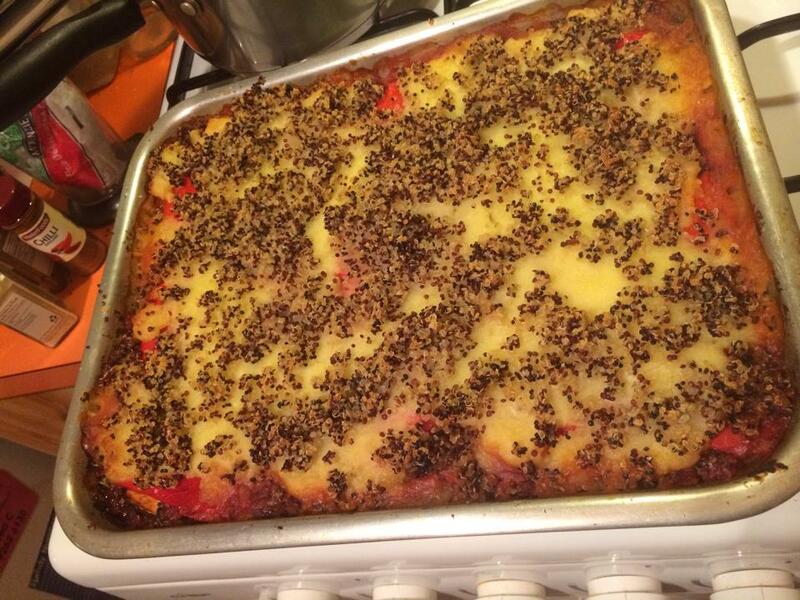 I used dried Lentils,forgot the tomato paste and had only 1 can of crushed tomatoes. Didn’t have spinach so used something green growing in the veg patch. And used Massel liquid chicken stock.to cook quinoa and added a little more to the whole lot. It didn’t need any other seasoning. It was delicious and you can imagine how much more delicious it would be if I had used all the ingredients mentioned in the recipe:) It is a keeper. Thanks. p.s I precooked/fried everything first too. Ohhhhh so glad you liked it!!!! !